Polymer clay Floral Necklace with brown beads!!!!! This is a handmade piece of art. 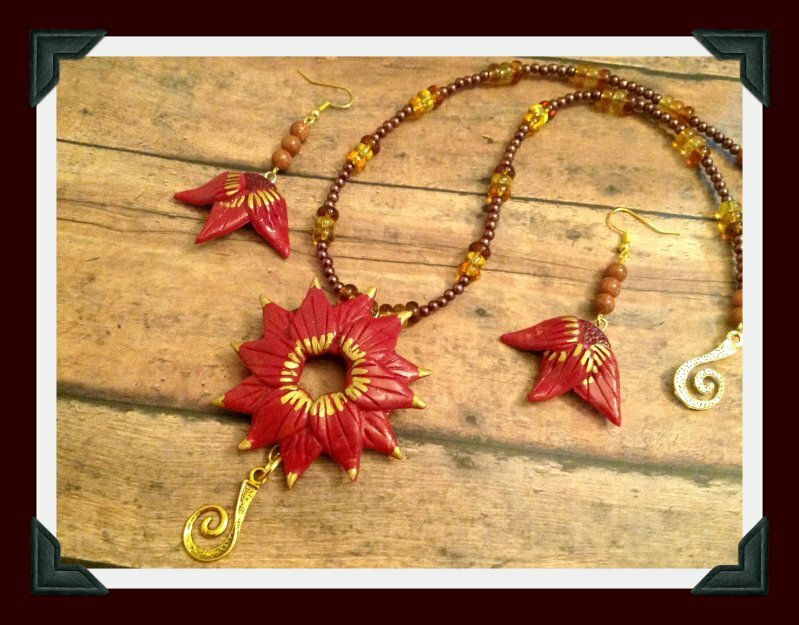 Polymer clay Floral Necklace with brown beads!!!!! Matching stylish earrings included. Buy Polymer clay Floral Necklace with brown beads!!!! !, sold & shipped by SowJy where you can shop online for Unique Handmade Terracotta, Fashion & Designer Ethnic Jewelry. This Necklace Sets collection has been tagged as Handmade Artificial Jewelry, Holiday Gift Set, Bead Work, Traditional Earrings, Fashion Ornaments, Indian Jewelry.